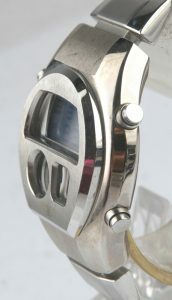 CONDITION : USED / VERY GOOD / CRYSTAL IS SCRATCH FREE / CASE HAS SOME MINOR SCRATCHES / NEW BATTERY INSTALLED. 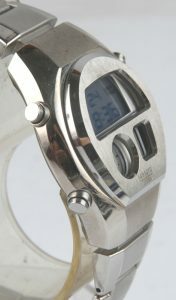 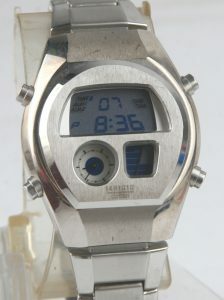 MODE : TIME/CALENDAR, ALARM 1,2 , CHRONOGRAPH, TIMER, EL LIGHT. 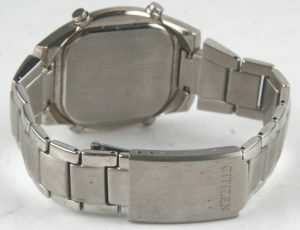 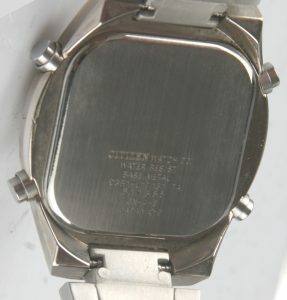 BRACELET : ORIGINAL STAINLESS STEEL BRACELET IN VERY GOOD CONDITION.